Washington: People, nowadays are always on the lookout for a way to be happier. Try a little compassion. 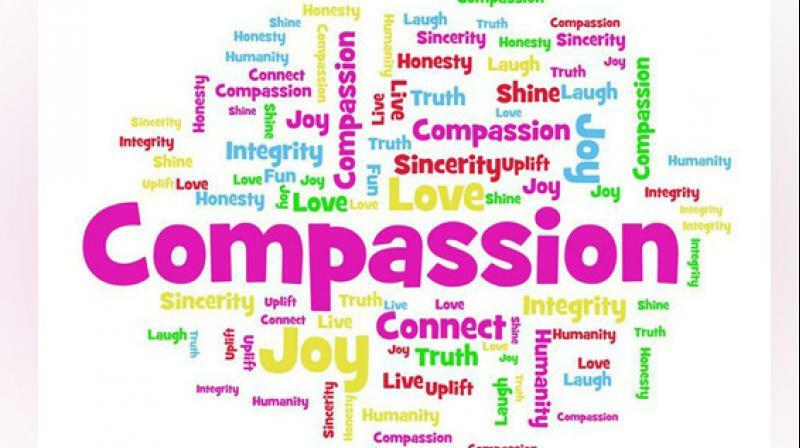 Compassion is "experiencing feelings of loving-kindness toward another person's affliction." It's related to, but a little different from empathy, which the same scholar defines as "feeling with someone, that is, sharing the other person's emotion." But if you've ever struggled to find loving-kindness for the guy who cut you off on your morning commute, know you are not alone. Compassion takes practice. But if you do practice, the experts promise the next time you get cut off, while you may not be happy about it, it won't ruin your morning.